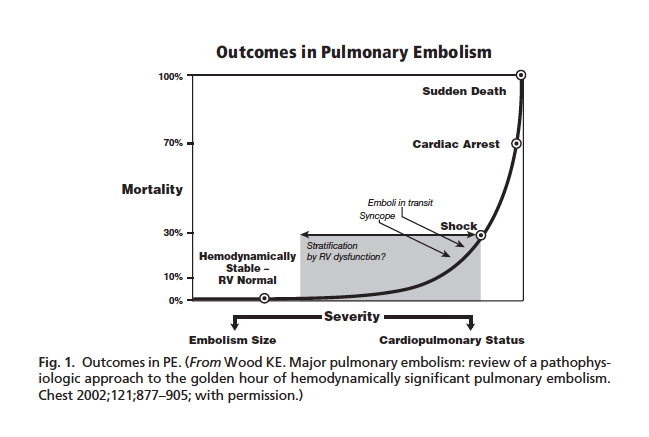 Definition: A pulmonary embolism (PE) that results in hemodynamic compromise and end-organ hypoperfusion. The physical size of the PE does not differentiate a PE as massive or submassive but rather it is the patients physiologic response to the clot(s). The RV and left ventricle (LV) are in series. Failure of one ventricle leads to failure of the other. Dose: Alteplase 100 mg IV over 2 hours (Kearon 2012). 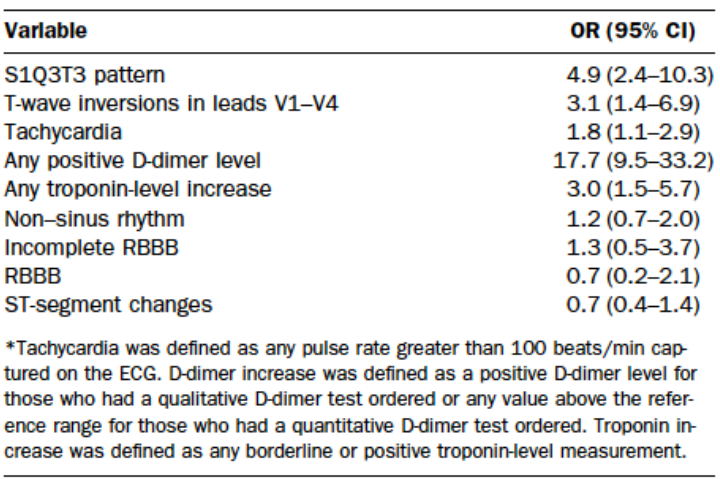 Can also consider giving bolus dose thrombolytics in patients with suspected or confirmed PE who have cardiac arrest. 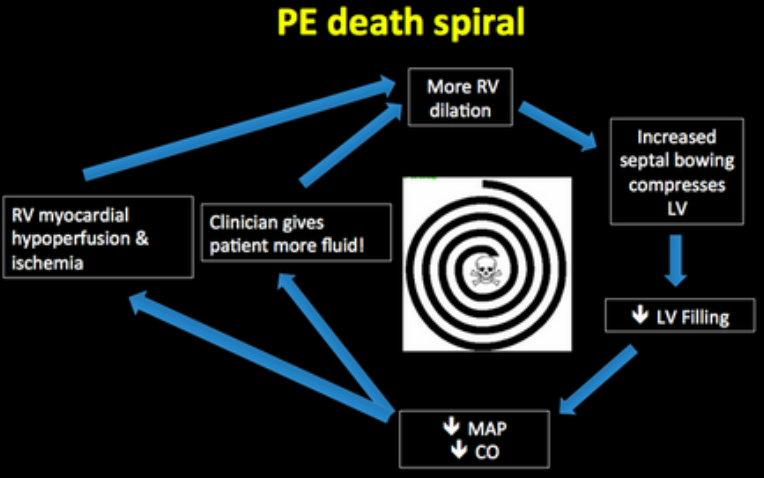 Massive PE is defined as any PE that results in hemodynamic instability. 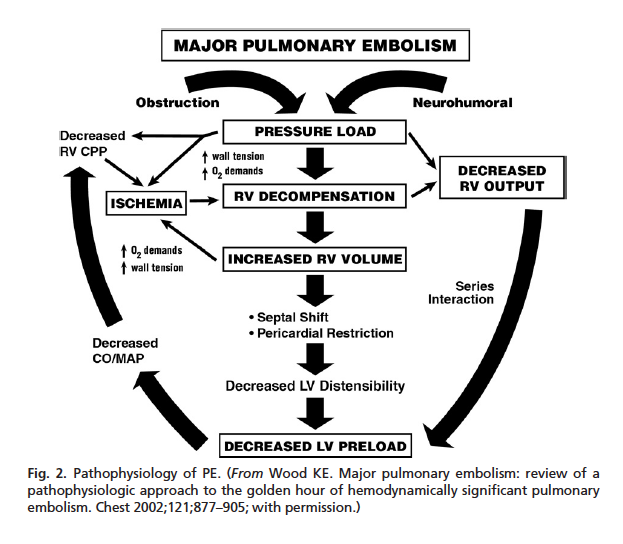 Thank you for this informative review of the diagnosis and management of hemodynamically unstable pulmonary embolism. I am a nurse working on my Masters in Nursing Education and our assignment is a patient presenting with symptoms of PE. I needed to better understand the specific difference between what constitutes stable vs. unstable and you helped me to do just that. I am sharing this valuable resource with my professor and fellow students. Thanks Swami, can you please add something about fluids? 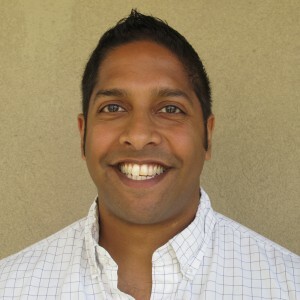 Lorenzo – there’s probably little role for fluids in these patients. 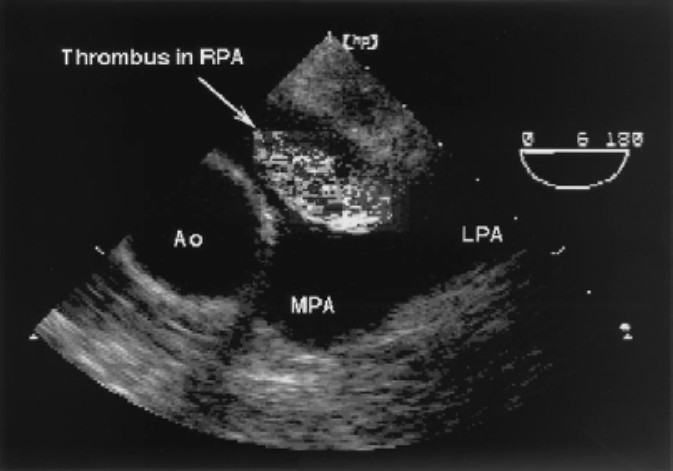 Fluid loading of any kind will cause dilation of the RV leading to bowing of the septum into the LV. 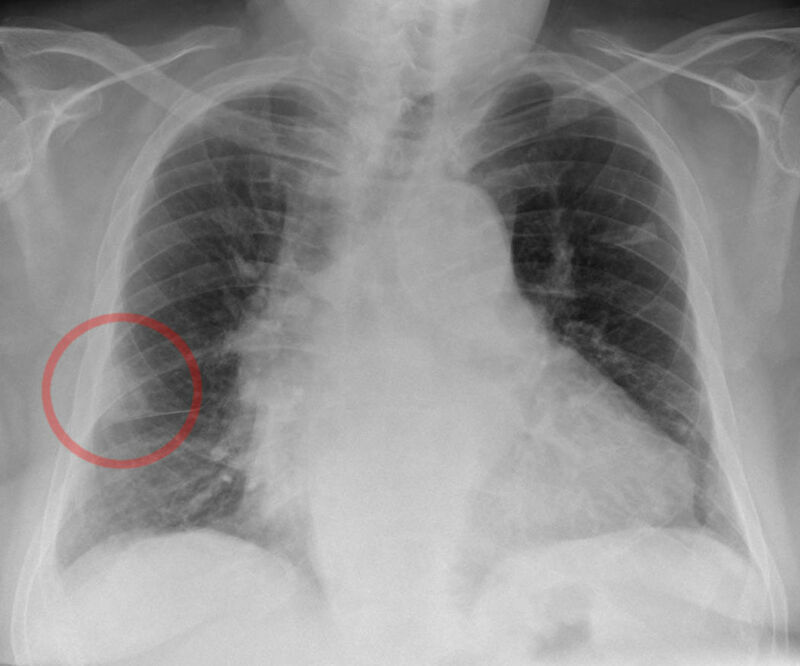 This causes decreased LV outflow worsening shock. I would lead with pressors and hold fluids unless there’s signs of significant volume loss (not sure why there would be, though). The NNT of 16 for death seem amazing from Wan´s metaanalysis. But doesn´t the 95% confidence interval include the unit (0.2-1.1), which means the difference is not statistically significant?